If you have read some of my post you will see I enjoy messing with my hair, especially when it comes to color. I love COLOR not your basic box stuff like blonde, red, brown but COLOR pink, green, blue, etc. The thing is that most of the color is hard to make it stay or it can look like ....well not good so thankfully there is another option. 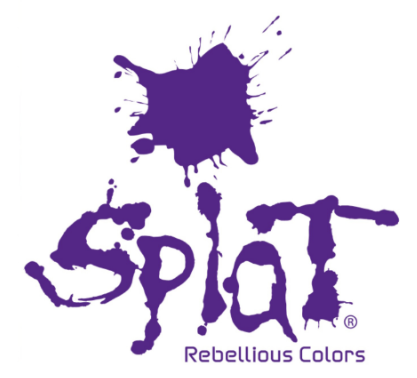 Splat Hair Color, which has come out with Hair Chalk, so basically you can try any look before you go pro, and regret it later. The great thing about the Splat Hair Chalk is that there is a good assortment of bold, bright, colors! 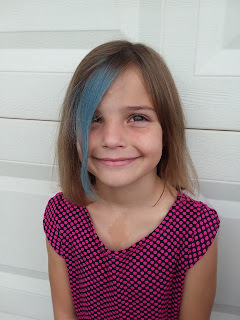 The Hair Chalk is easy to get in and out, so if you have a job which doesn't allow for personality you can enjoy a look and wash it out the next day. My daughters who are 5 and 7 are always seeing me changing my hair and every now and then they ask why I do it and if they can do it. I would never allow my kids to have their hair dyed until they are at least 15 or older, but I do not mind them playing with other means of changing their hair color. 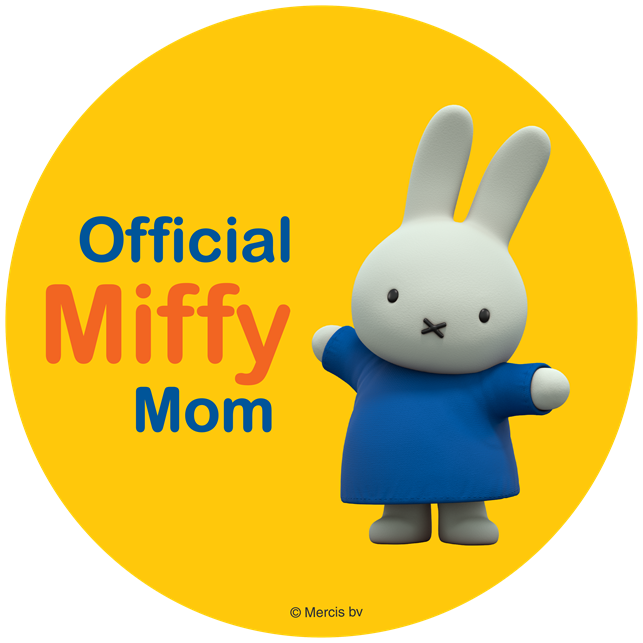 It allows them to express themselves, and they love it. They were excited to get the samples of Splat Hair Color, the best part for me and them was that again we can wash it out the same day. 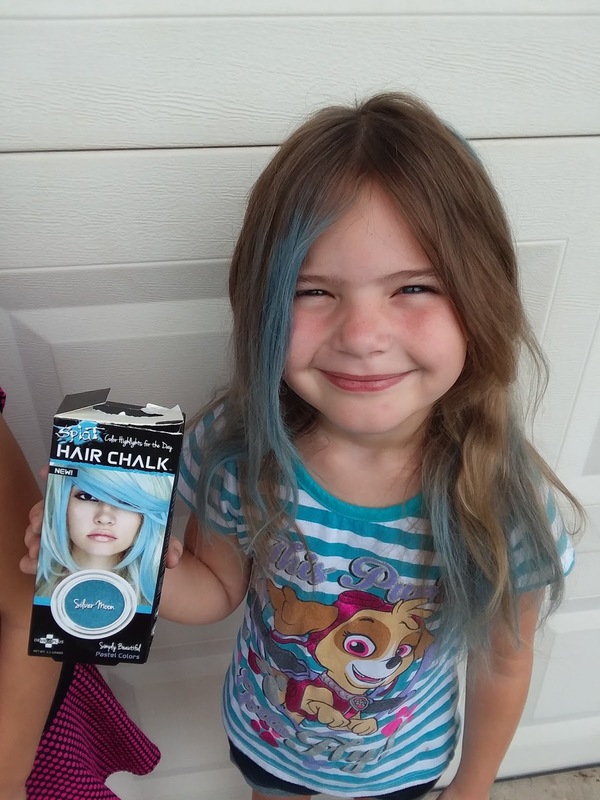 The Hair Chalk works great all you do is press your thumb on the color and hair and pull down, ( it is best used if with hair spray but I didn't and don't have any in my house) but without it still works great. The only thing is it is kinda messy so you wanna do over the tub or something you can rinse out, also place a towel over face so powder does not get all over, your hands will be colorful after also so just wash in warm water with soap. 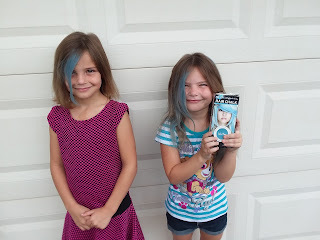 My girls loved having their hair in colors and now every weekend they look forward to trying out a new color. Sqwincher a whole new way to hydrate! Pistachio + Cranberry Chewy Bites, Yes, Please! 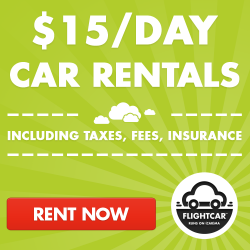 Rise-N-Shine with Wake Up On Time! Girlie Glue Great for Babies, and even Pets! Eggy Play The Egg Cartons You Play With!